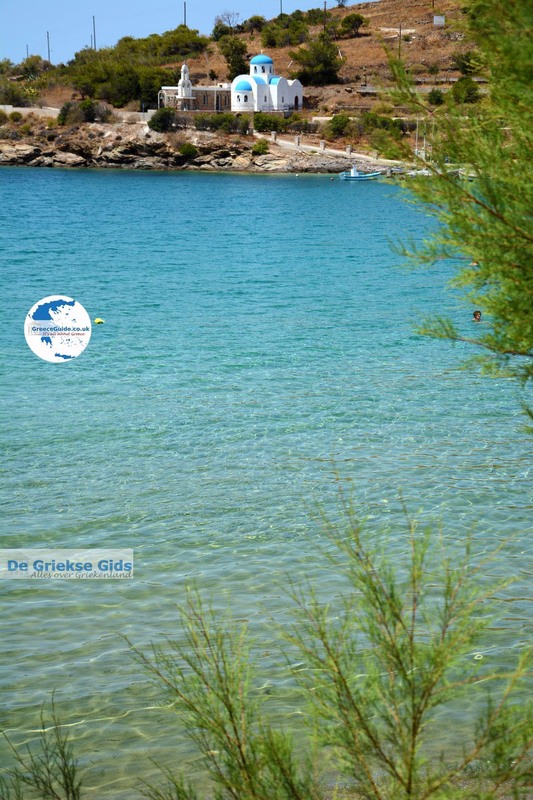 Megas Gialos. 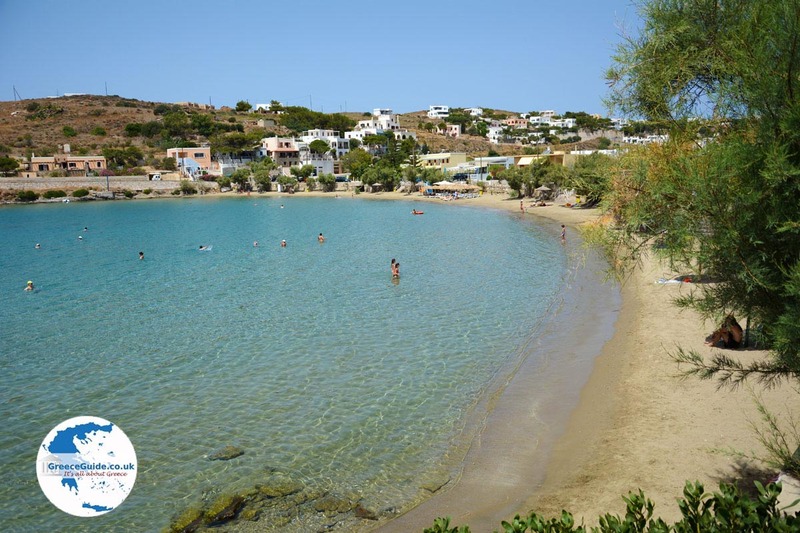 Megas Gialos is a resort town in the south of the Greek island of Syros. 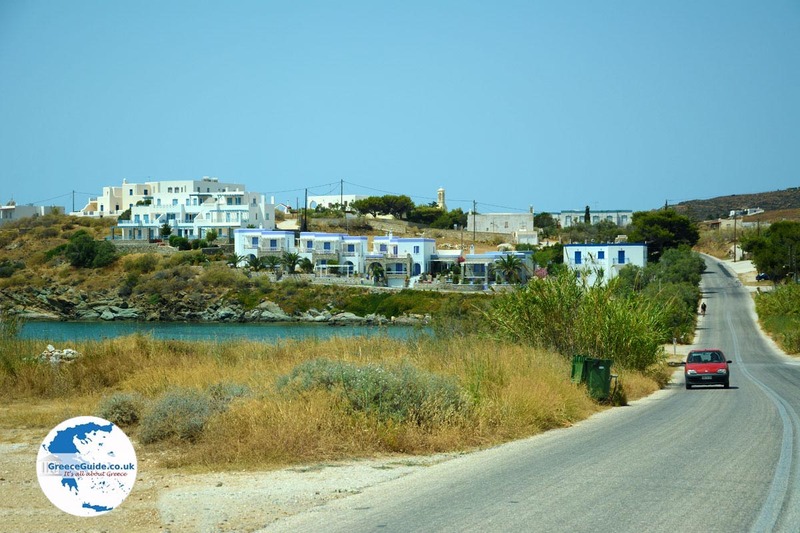 This seaside town is twelve kilometers (7.5 mi) southwest of Ermoupolis, and can be accessed in about 20 minutes by car from Ermoupolis. 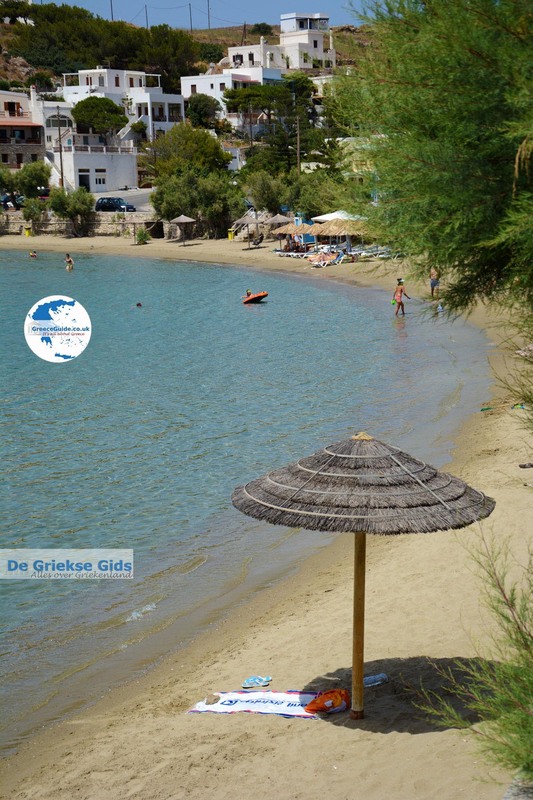 Megas Gialos means great beach. The beach really is not that big, but is picturesque. 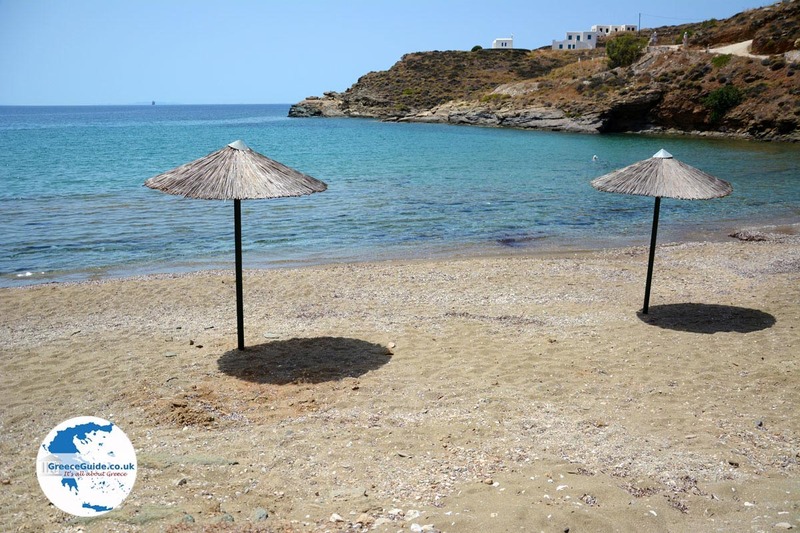 The turquoise sea, the green trees on the beach, the golden sand and the white houses behind on the slopes of the low hills provide good vacation environment. 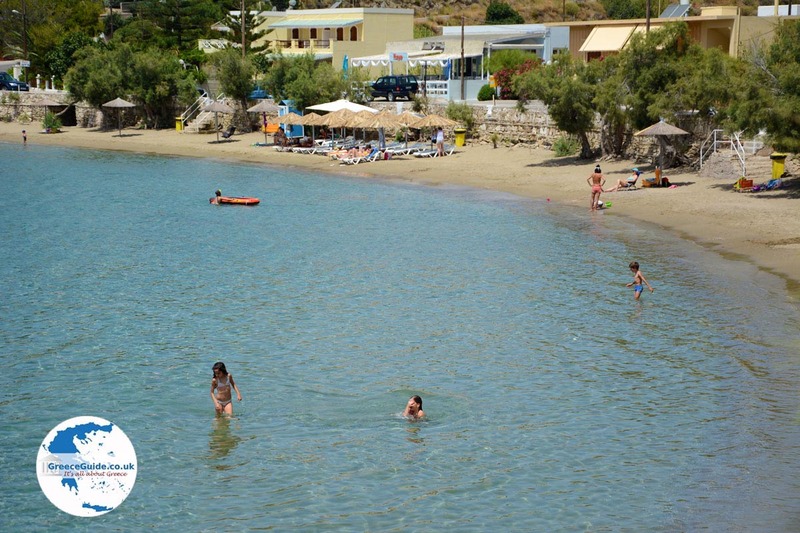 On the beach are two churches; to the right in the bay there is the church of Agia Thekla and on the other side, the church of Aghios Antonios. 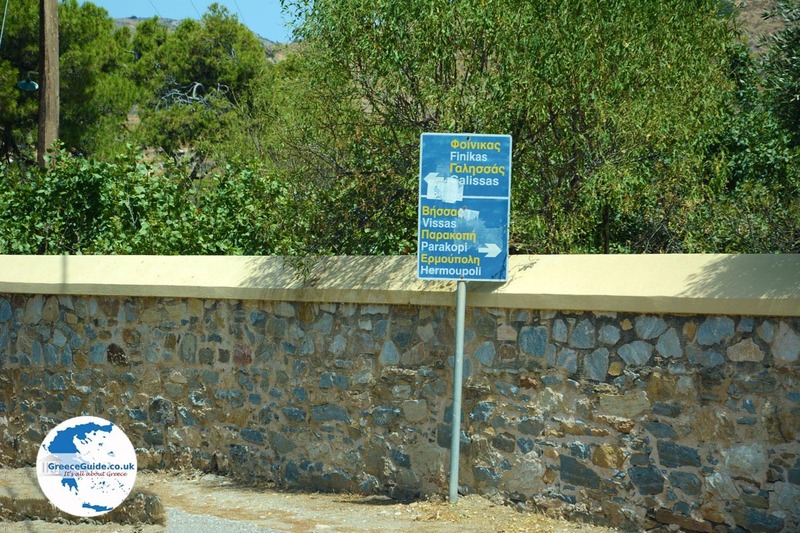 When you drive by car to Posidonia, you see a left exit to the beach Ampela. The name Ampela is derived from the name Ampeli which means grape orchard. 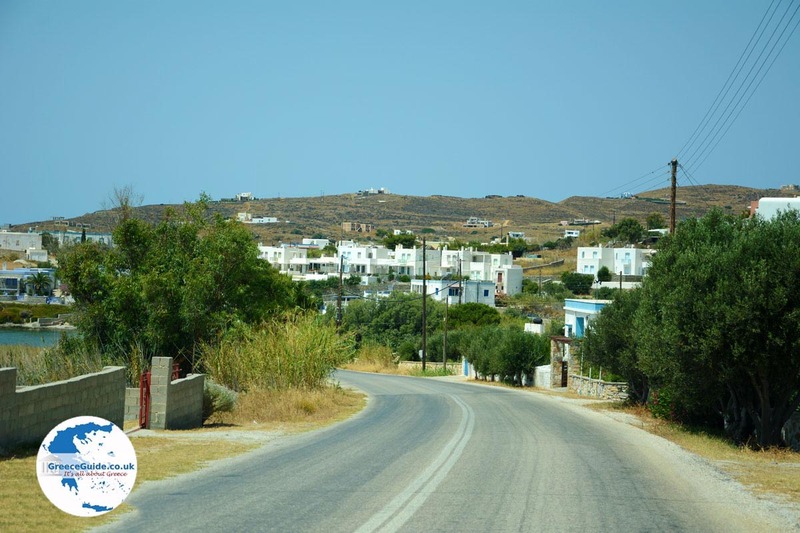 A steep road brings you to the beach in just a few minutes. 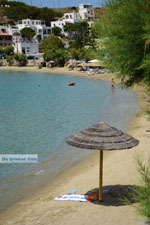 Ampela is a nice, sand and pebble beach where it is busy only in high season. 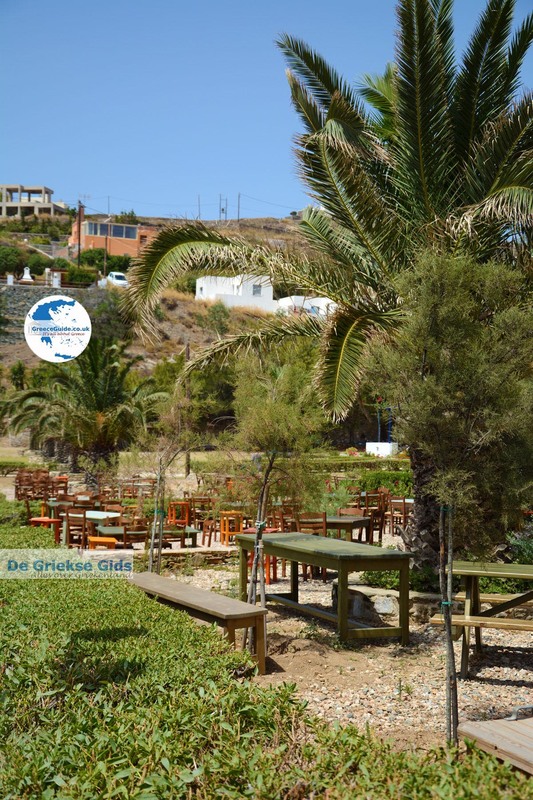 Just behind the beach is a great tavern. 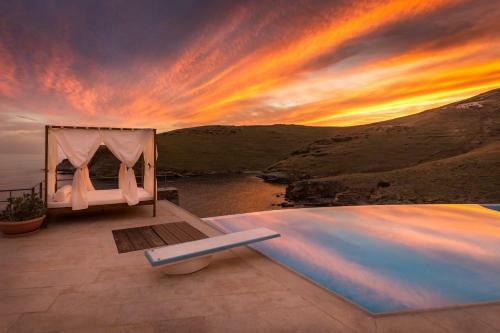 During summer, evenings in Ampela are very enjoyable. 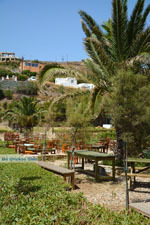 Ampela is located in a small valley, surrounded by low hills. 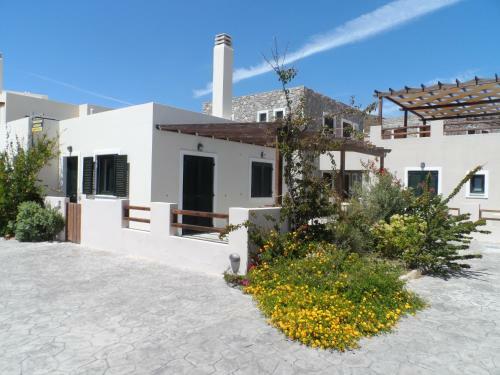 Near the beach, are many hotels and rooms and apartments for rent. 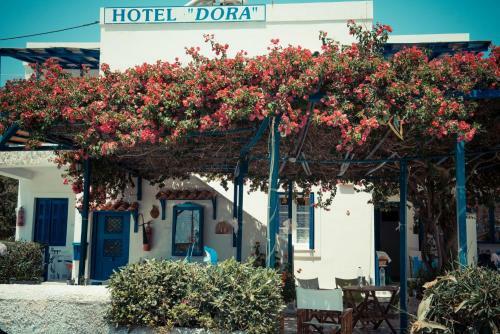 Megas Gialos and Ampela are ideal locations for people who like peace and love the authentic Greek atmosphere. 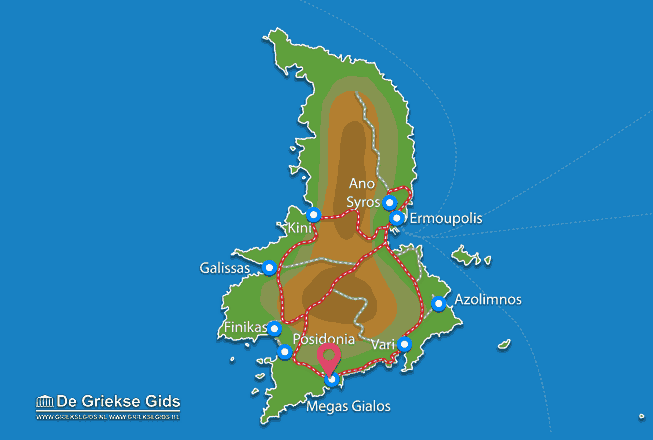 Syros: Where on the map is Megas Gialos located?